If you are a business of any size operating in Hounslow, or an investor or entrepreneur looking for a foothold in West London, make sure to clear your diary on Thursday 28 February! It will be a very busy day for the Hounslow’s business community as this year it’s the date for both the annual Hounslow Festival of Business and the Hounslow Business Awards. Hounslow Festival of Business is a one-day business expo event, brought to you by Hounslow Chamber of Commerce and is the largest FREE business-to-business exhibition in West London. The event, which is taking place at the London Hilton Syon Park, offers exceptional opportunities for business-owners, entrepreneurs and investors alike to progress their business, meet exhibitors, attend free seminars, take part in speed networking and make new business contacts. Building on the success of previous years, the 2019 Festival has over sixty exhibitors this year, with over three hundred visitors expected to attend. The action-packed agenda kicks off with a VIP breakfast, followed by the exhibition from 10am to 4pm, during which time a number of business clinics are scheduled. The Chamber is keen to give a platform to as many local businesses as possible and so can accommodate further exhibition stands if required. For businesses who want to sign up to attend the event for free or book a stand, visit the Festival of Business website. The Hounslow Festival of Business will draw to a close at 4pm, giving just enough time for many attendees to freshen up and don their black-tie wear for the Hounslow Business Awards; a gala dinner and awards ceremony to be held in the evening at the same venue. Now in their sixth year, the Business Awards, organised by Hounslow Chamber of Commerce, aim to recognise and reward the achievements of the local business community across the borough of Hounslow. The awards were launched in May 2018, inviting local businesses to put themselves forward for a number of different categories. Finalists have been invited to attend the gala awards ceremony to be held on the evening of the 28 February, following the Festival of Business. This is sure to be a very enjoyable evening and a great opportunity to network with the local business community - so don’t miss out! For more information and to book some of the remaining tickets still available please visit the Hounslow Business Awards website. ‘As an award-winning Chamber of Commerce, in business for 110 years, we support and celebrate the incredible innovation, success, investment and growth of our business community. The annual Hounslow Business Awards and the Festival of Business is part of that celebration, showcasing and promoting our diverse business community. The Festival of Business will offer a gateway to business opportunities in our borough, London and beyond to overseas markets. 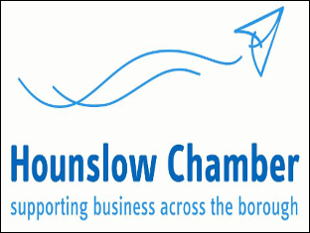 “We are extremely proud to be supporting the Hounslow Festival of Business and the Hounslow Business awards. The 28 February is certainly a really important date in the Hounslow business calendar this year! “We do what we can to support and help our businesses thrive. They are the heartbeat of our communities, providing everything from employment to the many things we need in life. If they are thriving and doing well, then so is the borough.